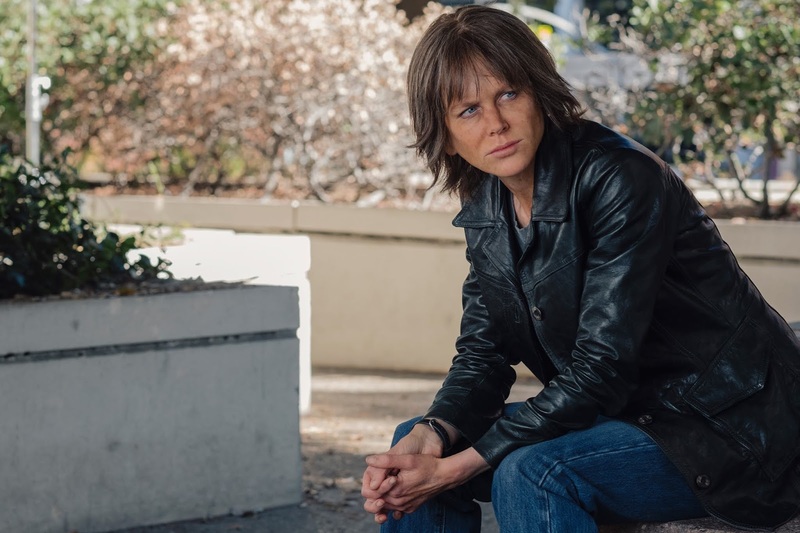 A crime and revenge investigative thriller, Destroyer offers a satisfyingly rich narrative and a complicated protagonist brought to life by an immense Nicole Kidman performance. Veteran Los Angeles police detective Erin Bell (Kidman) attends the murder scene of an unknown victim. Erin is shunned by most of her colleagues, who consider her a hard-drinking has-been. After receiving a dye pack stained $100 bill in the mail, she deduces notorious gang leader Silas (Toby Kebbell), who specializes in violent bank robberies, is back in action. 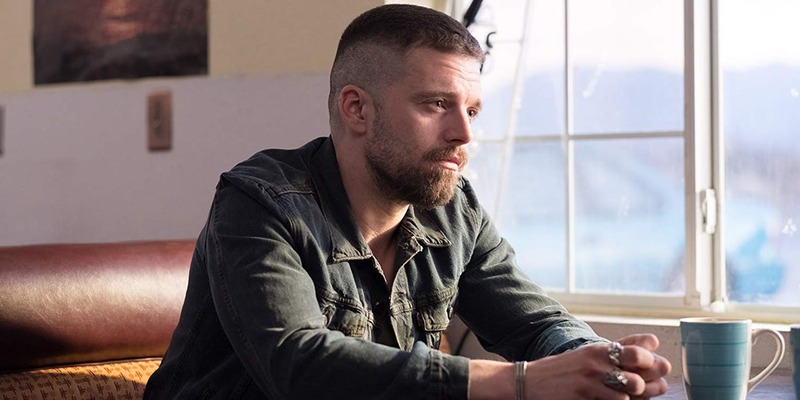 Many years prior, Erin and Chris (Sebastian Stan), another LAPD detective, infiltrated Silas' gang in an operation that ended badly. To track down Silas, Erin works through his associates, including former gang members Toby (James Jordan) and Arturo (Zach Villa), as well as lawyer DiFranco (Bradley Whitford) and Silas' girlfriend and partner-in-crime Petra (Tatiana Maslany). Erin is simultaneously struggling to control the behaviour of her 16 year old daughter Shelby (Jade Pettyjohn), while in flashback, Erin and Chris' dangerous covert mission within Silas' den is revealed. The story of a tough woman at the end of her rope, Destroyer boasts a multi-layered narrative riding the immense but contorted energy of a compelling central character. Nicole Kidman is exceptional both as the present day broken Erin tracking her nemesis, and the young, wide-eyed rookie sucked into a life of crime within Silas' orbit. The film is engrossing thanks to Kidman's damaged rage, but it is much more than just a performance showcase. As directed by Karyn Kusama and written by Phil Hay and Matt Manfredi, Destroyer weaves a complex story of greed, romance, loss and retribution around Erin, with plenty of secrets and actions from both her past and present waiting to be disclosed. Everything that could have been predictable is shattered with confounding revelations. The mother-daughter conflict does not work as well, the scenes of bad-tempered miscommunication between Erin and Shelby emerging as the most routine aspects of the film. Kusama also dangles a wilderness trek rich with possibilities but leaves it unresolved, while the character of Silas could have been provided with more texture. But the film's weaker moments are outshone by the sharply executed human-centred action scenes, Kusama and Kidman always pausing at the right moments to convey Erin debating her options and gathering up her courage before jumping into action. Gradually the detective evolves into an unforgettable flawed warrior, not so much chasing a criminal as the demons haunting her soul.